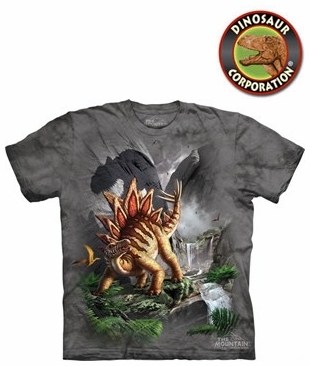 Against The Wall Dinosaur Stegosaurus Graphic T-shirt. * Prior to wearing, wash separately in cold water. * Do not bleach or dry clean.